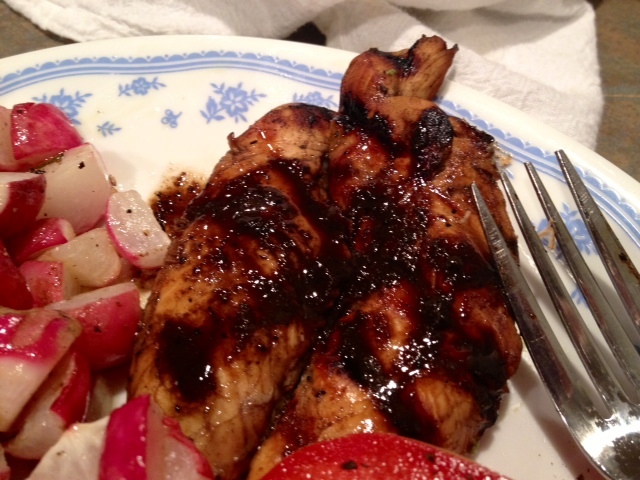 Grilled Balsamic Chicken…on my own grill! I’ve wanted a grill for as long as I’ve lived alone. In my head, a grill was all that stood between me and these awesome meaty dinners every night of the week. Now, I can privately admit that that’s not entirely the truth—let’s not pretend I’d actually make dinner after a 12-hour day. But, I WOULD cook meat way more often, and it would open up a whole new world of culinary possibilities. Plus, who doesn’t love that freshly-grilled flavor?! However, my apartment complex would never let me have a grill, and my new condo complex is the same. But there’s this nice patio just begging for a grill! What’s a girl to do? Well, I did some digging, and apparently electric grills are a thing—not a very well-known thing, but a thing nonetheless. I knew I didn’t want to go the oversize George Foreman route. I found a few that got good reviews, and lucked out at Target a couple weeks ago and found a great CharBroil one on sale. This recipe was its maiden voyage. Isn’t that an amazing plate of food?! Look at me, making dinner on a work night like a grown-up BOSS. Ain’t she gorgeous?! Putting it together wasn’t super fun, but totally worth it. Oh yeah, making the food…well, it’s pretty easy, really. 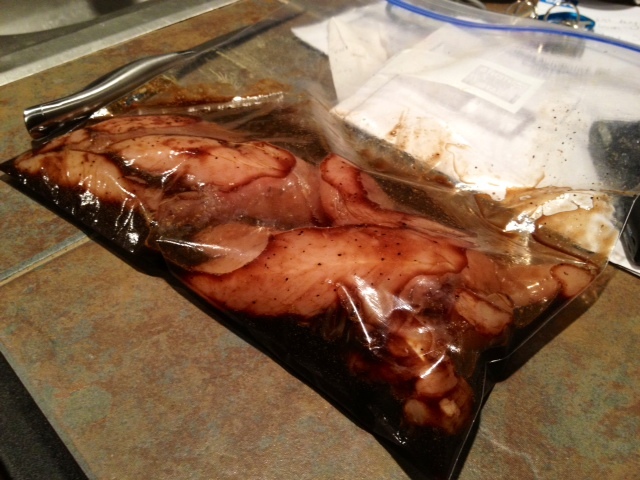 You put all the marinade ingredients into a big ziploc bag or tupperware container. If you use tupperware, make sure it SUPER seals, because you’ll want to shake it around a little. Then put the chicken in there and squish or shake it around. Marinate for at least an hour, two is best. I marinated it all day while I was at work, which I’ve heard can make chicken tough, but I didn’t have a problem. Stick that bad boy in the fridge. When you’re ready to cook them, preheat your grill to medium. For my electric grill I did medium-high (4 out of 5) because it loses a lot of heat each time you open the lid while cooking. Place the chicken on the grill and cook for 4-5 minutes on each side for tenderloins and 7-8 minutes each side for chicken breasts. I went the extra mile and took the leftover marinade, poured it in a tiny saucepan, and boiled it for a few minutes until it reduced into a sauce, then served it over the chicken. 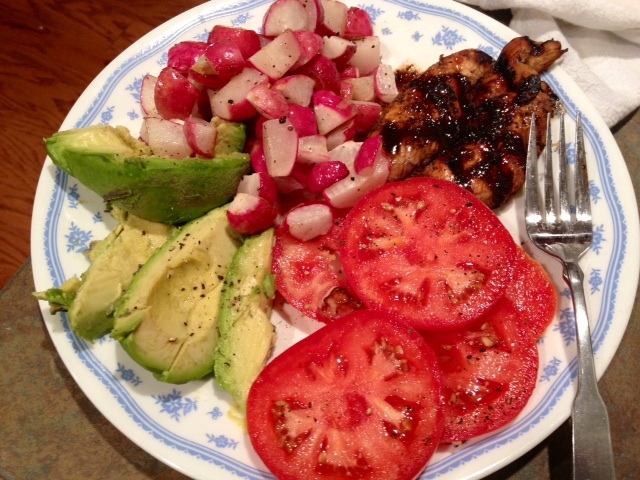 This was such an easy work night meal, I might even make a habit out of it. It will be so nice to have a little more meat in my diet, and I can’t wait to try grilling EVERYTHING—fish, steak, veggies, pizza, fruit, cheese! In a large ziploc bag or (really sealable) tupperware container, mix the balsamic, soy sauce, brown sugar, thyme, and pepper. 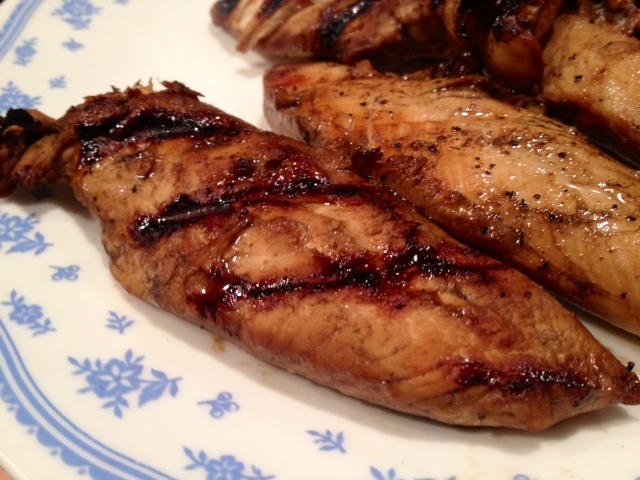 Add your chicken breasts to the marinade. Make sure to get all the excess air out of the bag and seal. Marinate for minimum of an hour in the fridge, around 2 is recommended. You can also marinate 15 minutes at room temperature. Though I know some people don’t recommend it, I marinated it all day while I was at work. 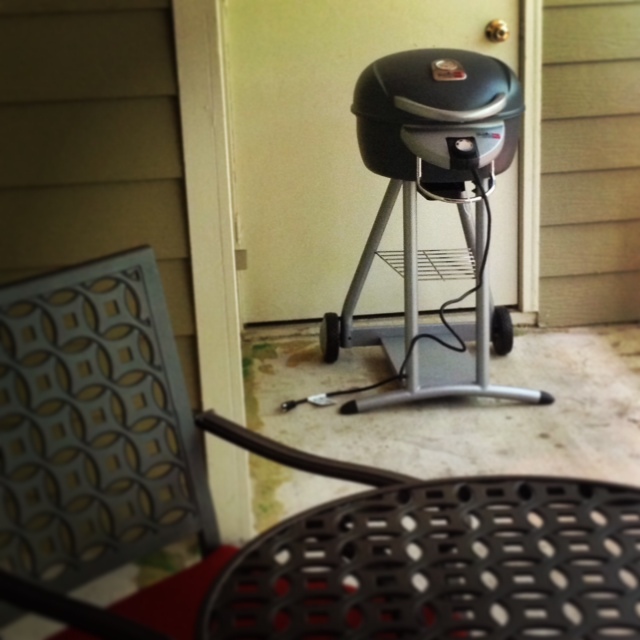 Preheat your grill to medium heat (mine’s electric so I did medium-high, or 4 out of 5). 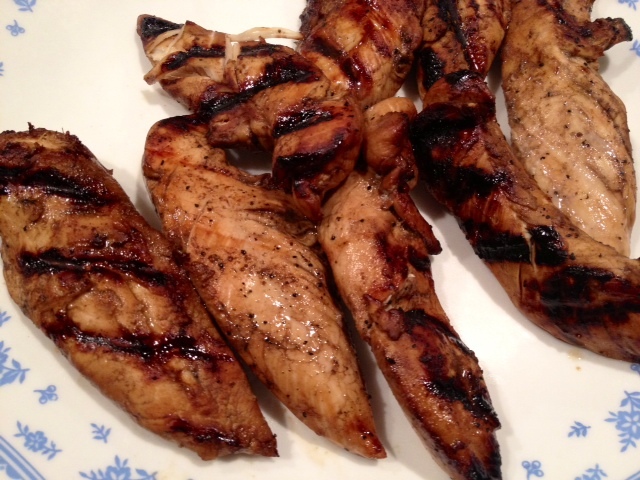 Remove the chicken from the marinade and place on the grill. 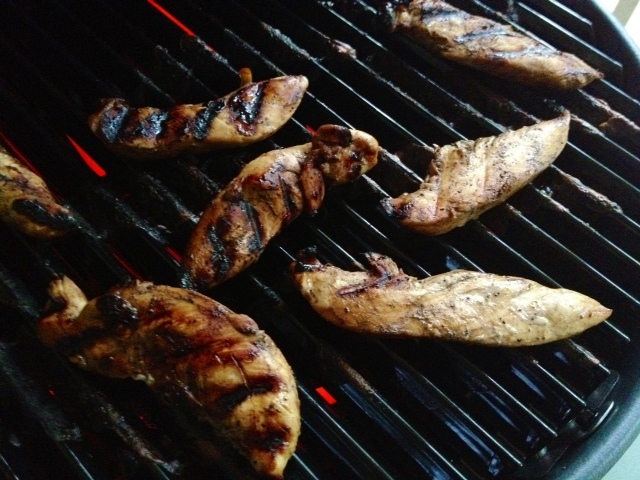 Grill for approximately 7 to 8 minutes on each side if using full chicken breasts, or more like 4-5 minutes for tenderloins. Cooking time will definitely vary based on your grill and the thickness of your chicken breasts, so be really careful that it’s totally cooked. *Optional* You can take your excess marinade and pour into a saucepan. Heat marinade over medium-high or high heat until it reaches a boil, and continue to boil for a few minutes, until it reduces to a sauce, then serve over your cooked chicken. « Oat Brown Sugar Strawberry Shortcake…and Happy Birthday ‘Merica!